The Winter Reading Program has begun! 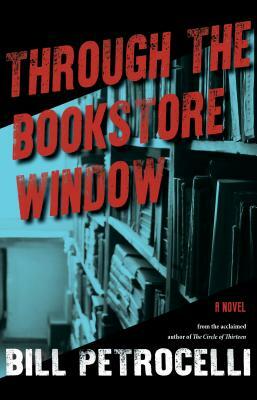 We're challenging you to read three books (selected from eight possibilities chosen by Bookshop) by March 31st, 2019. 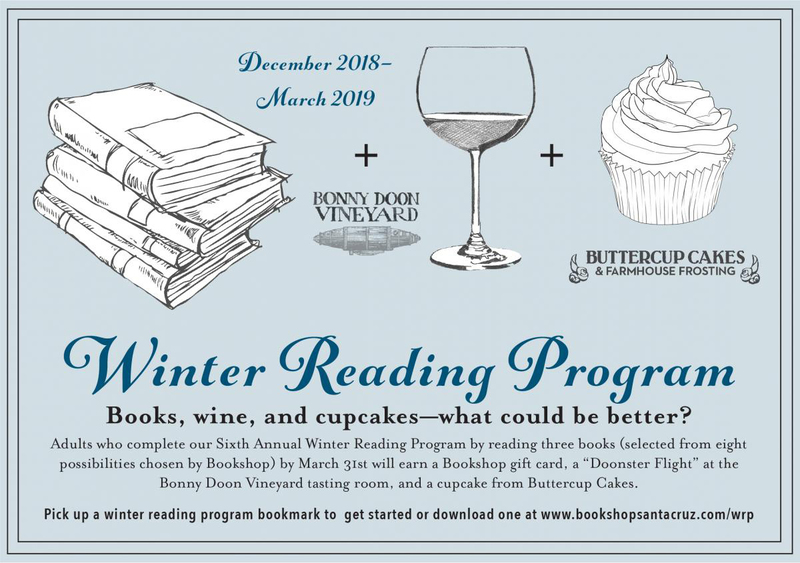 Those who complete the program will earn a Bookshop Santa Cruz gift card, a "Doonster Flight" at the Bonny Doon Vineyard tasting room, and a cupcake from Buttercup Cakes. 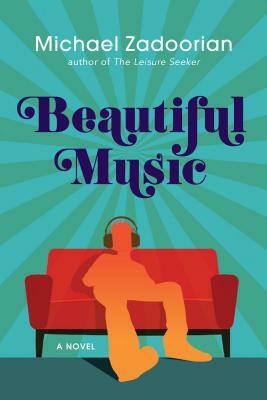 We had a great time with you on January 8th at 6:30 at Rosie McCann's in Santa Cruz for our Kick-Off and Mixer, where our book buyers and booksellers were on hand to talk about the books we've selected for this year's program. See this year's selected books below, with reviews from our staff. Download a Winter Reading Program bookmark, or stop by Bookshop Santa Cruz to pick one up in-person. 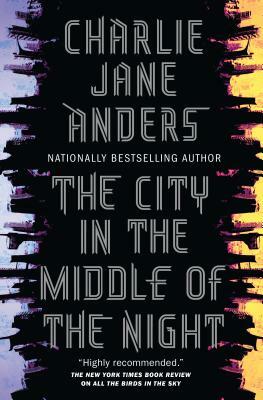 "I am thrilled that this book is here! In The Cooking Gene, culinary historian Michael Twitty traces his ancestral roots as well as the culinary history of the South—from Africa to America—with passion and urgency. Deeply compelling, provocative, and important—if you are interested in the true history of our country, read this book." - S.B.